What a slow couple of weeks it has been here. I have been reading all kinds of books - home decor, knitting, but not much fiction or nonfiction. Thankfully, I'm in no rut. Plus I'm in the middle of two intriguing books, just that they are moving slow for no fault of theirs. - Where'd You Go, Bernadette by Maria Semple: Easily going to be one of my favorite books of this year, I'm still astounded by how close I came to not reading this book. Thank goodness for all kinds of must-read lists. If you haven't thought of reading this one yet, you. simply. must. read. it. - The Fault in our Stars by John Green: I resolved early this year to finally read this book and see why the whole world of readers is raving about it. Having finished it, I can see what the fuss is about. While I didn't love it fully, boy, you have to be an unruffled person to not be affected by it. The subject of this book is sadly too personal in my home and I found it tremendously difficult sometimes to keep reading. 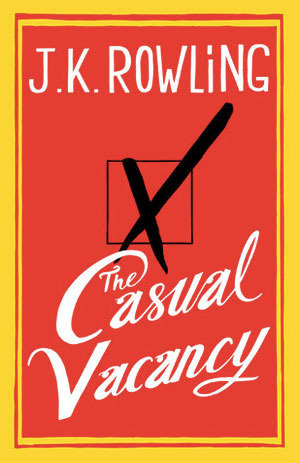 - The Casual Vacancy by J. K. Rowling: Last year, while I was busy with packing and moving, I had read and enjoyed a few chapters of The Casual Vacancy. Written in true J. K. Rowling style, I could see the tons of similarities in her writing both in this book and the Harry Potter series. Unfortunately, the book went back to the library unfinished, with my promises to read it soon. This Valentines Day, the darling husband surprised me with this book and a B&N gift card. So far, I'm still retracing my old steps but I'm almost getting to the unread sections. - We Bought a Zoo by Benjamin Mee: I don't know what it is with narrators that switch their tones suddenly from the mellow to the loud but the narrator of this audiobook has been switching volumes often. Other than that, We Bought a Zoo is actually quite wonderful to listen to. This is the first memoir I'm reading after a long time, and it doesn't feel as bad as I worried it would be. - Three Graves Full by Jamie Mason: This book started out well, truly well. Until the characters started acting stupid and not worth their professions or abilities. Such as detectives making such horrible guesses. I've got to read Bernadette too - so many rave reviews, and it's been sitting on my shelves unread and unloved! Awesome list! I can't wait to try the top two. One I own and the other I need to pick up soon. 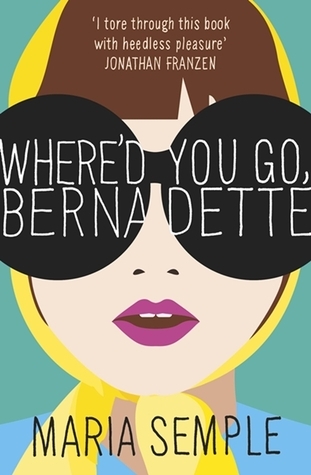 I loved Where'd You Go, Bernadette? too! We like to hear about decorating and knitting books too. Loved Fault but cried much while reading it. I have The Submission but have not been in the right mood to read it. I am torn about the JK Rowlling book. I've read decent reviews, but haven't felt the need to read it... maybe I should. And I'll look up Bernadette as well! I hope you enjoy it! It's really fun! Hope you enjoy both of them! They are definitely wonderful books. Yay! Hope you like it. It's a really fun book! I love Jhumpa Lahiri. I can't wait to start this book. I didn't know We bought a Zoo was a book, lovely family movie. Fault in our Stars was memorable. I was worried about the okayish reviews too, but I am definitely enjoying this book a lot probably because of her trademark wit - which is what made me love the Harry Potter books too. I definitely plan to watch the We Bought a Zoo movie after finishing the book, which I am enjoying a lot. I have several of the B&N leather editions, including the Arabian Nights. They are just gorgeous. I almost checked Unaccustomed Earth out from the library yesterday but I didn't. I'm sure I'll get to it soon. Enjoy your week! I really loved The Casual Vacancy. How nice you got a copy from your husband. Hope you'll enjoy it!